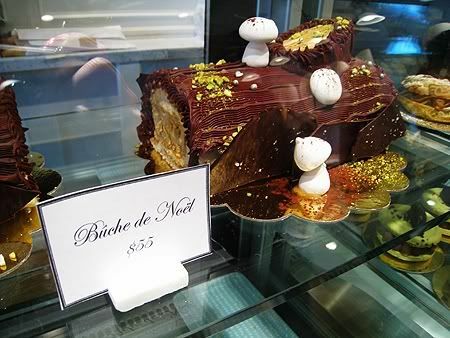 Would I be wrong to say that the Duchess Bake Shop in Edmonton is one of the most amazing bakeries we have in town? 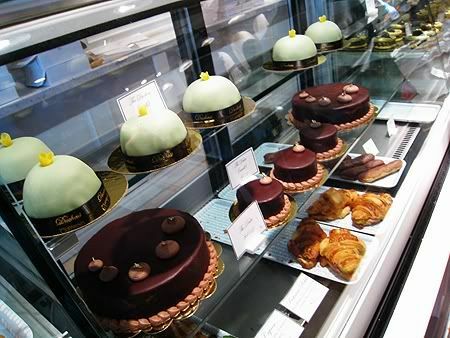 When I'm there, I feel like I'm in pastry heaven.. everything looks beautiful and so delectable. And better yet, it tastes as good as it looks! This was my first time visiting during the lunch hour, and boy it was packed! The line was consistently at a length of about 15 people.. it is such a bumpin' place at lunch time! Vince and I decided to try out some of their savory offerings. 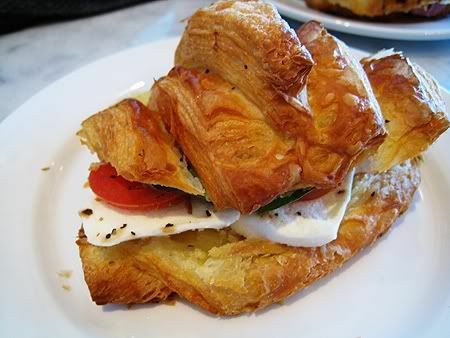 The Caprese is a croissant sandwich with tomato, basil and bocconcini. The croissant is baked in house, and it is so flaky and buttery! The croissant itself was crisp, and all the layers just melted in my mouth. So. Good. The tomato, basil & cheese combo was nice, but a little bland to my taste. I think it would be so much better if the tomato could be topped with some salt & pepper before serving! Also, the sandwiches would be 10x better warmed up. 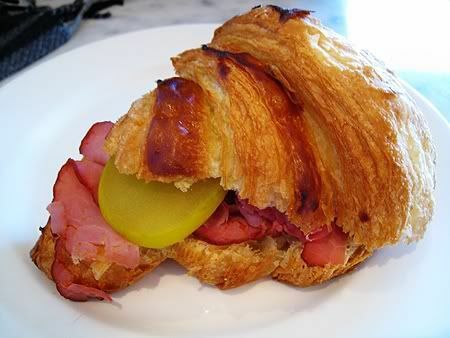 Vince chose to go with a plain and simple croissant sandwich with pastrami, dill pickle and grain mustard. The croissant was just as amazing as mine, and did feature a bolder flavour. Aside from being cold, the issue I have with the sandwiches would be that the price isn't quite reflective of the portion size. Each sandwich was $5.75 - although tasty, I probably wouldn't order again the next time I'm there. 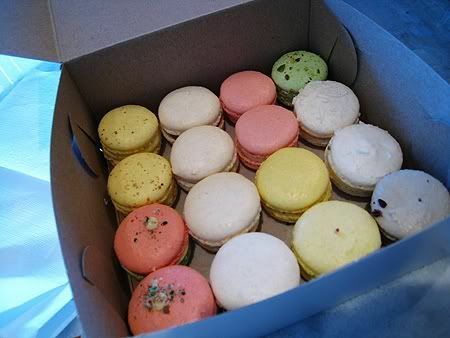 By the time it was my turn to order macarons, there weren't too many left! Luckily they had a few flavours made just in time for me to grab a couple to try out. I love that Duchess has a wide variety to choose from, and some were even seasonal (candy cane!) 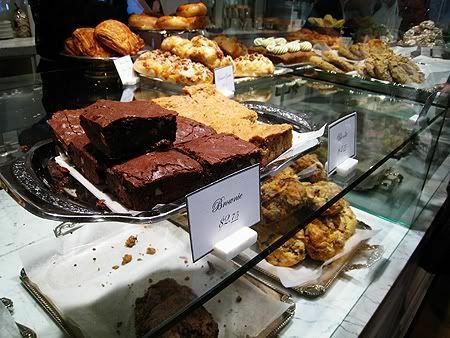 As their signature item, I highly recommend trying these delicious morsels if you stop by - you won't be disappointed! I've nominated you for the Liebster Blog Award. I hope you accept! The rules are on my blog. Basically it's to recognize bloggers that are just starting out in the bloggosphere. those look sooo delicious *o* your blog is so cute! @Rachel - thanks! Happy new year to you as well! omgomgomgomgomg that looks SOOO NOMMY!!!! !